I am confident saying that Sunday's concert with the Pacifica Quartet and clarinetist Anthony McGill was the most soulful and satisfying performance of Mozart and Brahms that I have ever heard. So often, the promise of all-star combinations falls short of expectations, but the Pacifica and McGill make music as if they have been performing together as a quintet for 20 years. Their collaboration is natural, and the music flows with depth and clarity. The concert also celebrated the quintet's forthcoming release of the same program - Mozart's Clarinet Quintet in A Major and Brahms' Clarinet Quintet in B minor - on Cedille Records in May. Not only was I able to hear this exquisite music from behind a camera, but the artists were kind enough to let me hang out with them in the green room during intermission. I was thrilled to finally meet the Pacifica, an ensemble I've long admired as a reviewer and music lover; and McGill - a Chicago native - may be best known for his performance at President Obama's first Inauguration. And to top it all off, my photo of the concert ran in the Sun-Times with Andrew Patner's glowing concert review. My first photo in a newspaper! Many thanks to Cedille Records' Jim Ginsburg and University of Chicago Presents' Amy Iwano for a wonderful afternoon. 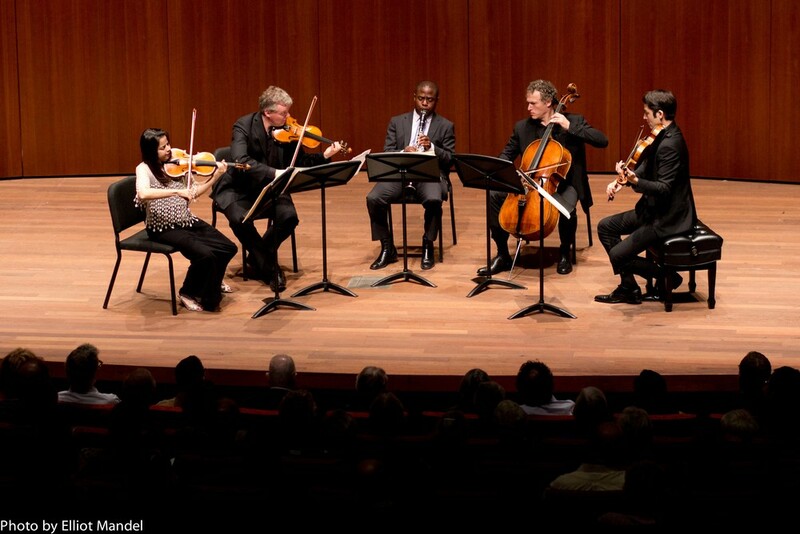 Clarinetist Anthony McGill and the Pacifica Quartet during Mozart's Clarinet Quintet. 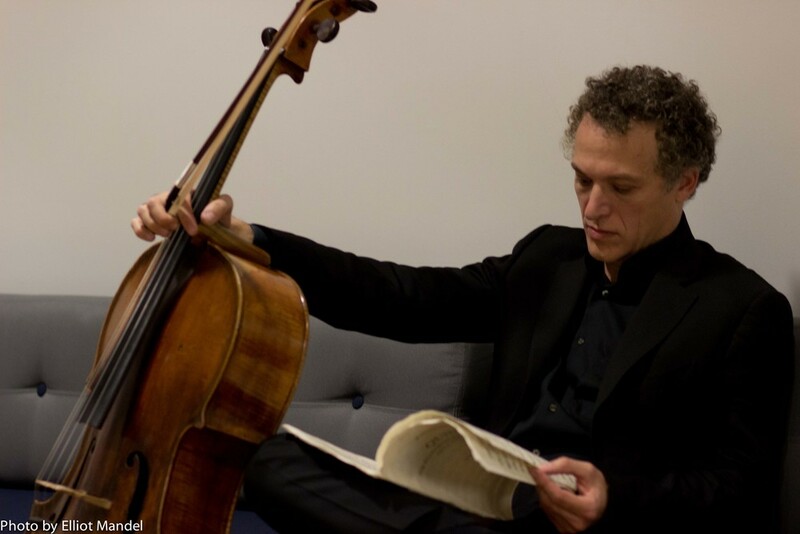 Cellist Brandon Vamos studies Brahms during intermission. Anthony McGill tests out his reeds in the green room. My photo on page 26 of the Sun-Times, April 15, 2014.